There are many jobs in America that are rather thankless. One of the most common ones is a maid. These jobs are necessary, but they certainly are not glamorous. Nevertheless, thousands of people work these jobs, cleaning up hotels, motels, private residences, and office buildings. This is a job that has to be done and often goes unappreciated. That’s why this motel cleaner’s heart starts racing as she lifts up the sheets and finds something there that the previous guest left as a surprise. This motel cleaner could not believe her eyes. And little did she know, she was being filmed for the internet. Kyle and Josh had planted a camera so they could capture the motel cleaner’s shocked expression when she lifted the sheet and found something she never thought she’d see in a million years. 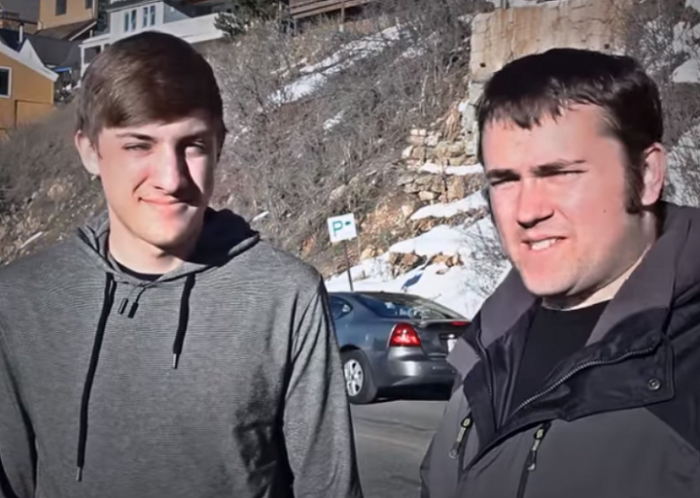 Kyle and Josh are YouTubers and make videos capturing the moment something shocks someone. Because their videos have an element of surprise to them, they’re quite popular. But in this video, the maid’s reaction is going to bring tears to your eyes rather than derisive, mocking laughter to your lips. Kyle and Josh run the YouTube channel called Give Back Films. And as the same suggests, these filmmakers like to pay it forward. Their content is at the intersection of a game show and a hidden camera show. In this video, you’ll see a cleaning lady on camera while she works at a motel near Park City, Utah. Josh and Kyle were in town for the annual Sundance Film Festival and decided to “share the love” with the hotel maid by hiding their tip under the bed sheets. The video has become very popular because it is something we would all love to happen to us. If you’re a hard worker, you know how much you’d appreciate an extra-generous tip with no strings attached. And as Josh and Kyle slip $500 cash under the sheet of their motel bed, they are doing just that for this unsuspecting motel room cleaner. The video starts with Kyle and Josh preparing their surprise for the cleaner. They get into the room and mess up the bed. They want to make it look like they’ve had a wild night in there when she first walks in. Then they slip the hundreds of dollars under the sheets and wait for a hidden camera to do the rest of the work. Some backstory. The motel owner told Josh and Kyle that the maid was recently hired. She had been a guest at the motel with her parents when she noticed the “Now Hiring” sign. The previous maid had up and quit, and with the Sundance Film Festival coming to town, the motel owner needed to fill the vacancy pronto. The unnamed maid came at just the right time. Now watch the video to see the maid’s reaction when she goes into Josh and Kyle’s room to change the bed sheets. There was no way she was expecting to find so much cash left for her as a tip.